The winds howled across the Ozarks on Thursday. The National Weather Service says we saw wind gusts between 50 – 56 miles per hour. 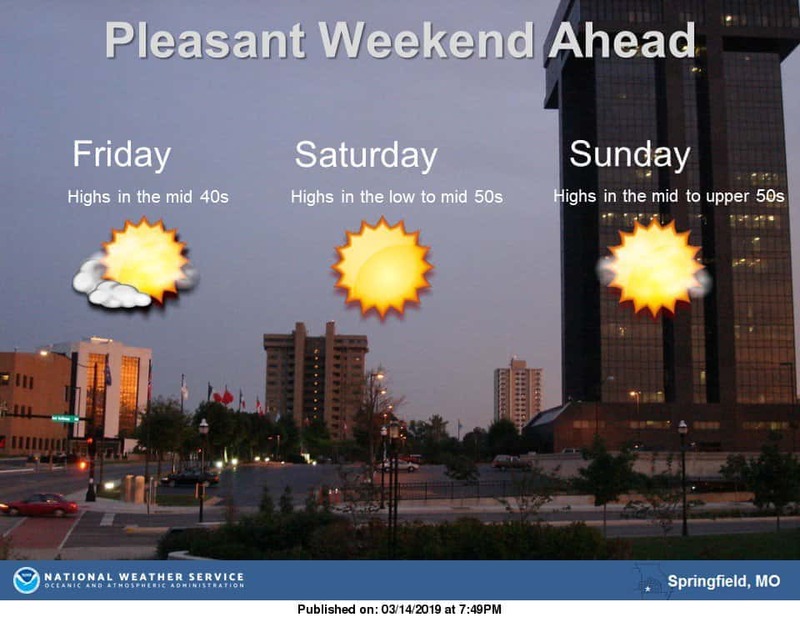 Forecasters say the winds will subside overnight and make for a more pleasurable weekend. Friday is going to be on the chilly side, but Saturday and Sunday we’re going to see sunny skies with highs in the upper 50s. They say the next chance for rain comes on Tuesday and Tuesday night. There will be a 30 percent chance on Tuesday. Chick here to stay up to date with the latest forecasts.